Abraham Lincoln is a figure who symbolises the United States of America; an intellectual man of humble origins, Lincoln was the President who held power during 2 of the biggest events in America's history - the American Civil War and the end of slavery. 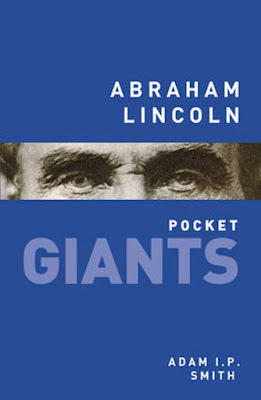 Lincoln is frequently described with admiration by historians, but there is still much controversy around his own influences, opinions and aims. In a sea of differing ideas, Adam Smith's excellent introductory book - part of a series focussing on giants of history - is the perfect place to begin. Covering Lincoln's life chronologically but also aiming to provide some themes to each chapter - Lincoln as Politician, Harbinger of War, Self Made Man - Smith's narrative never loses its thread during the telling. 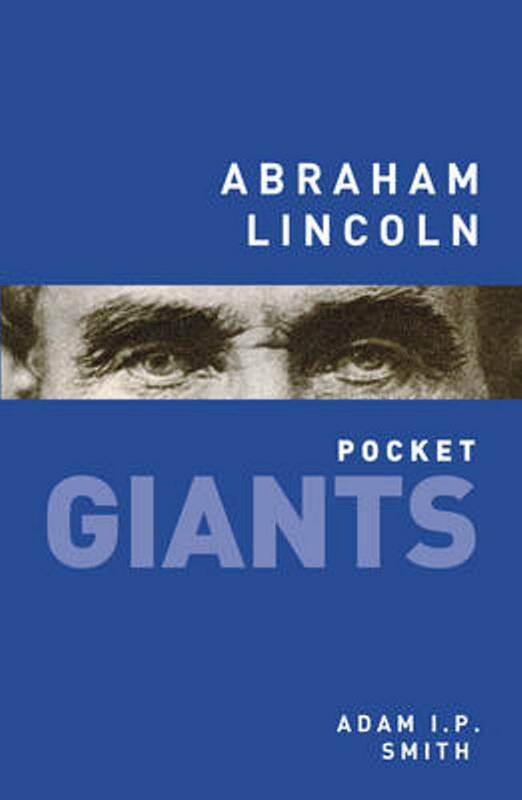 Taking the reader from Lincoln's early life in a log cabin, to his time as a lawyer and his first forays into politics, to presidency, civil war, emancipation and finally, inevitably, assassination, the story is written simply, thoughtfully and with a sense of not overpowering the reader with too much information. Lincoln appears to be a mine for inspirational and thought provoking 'soundbites', and Smith peppers these throughout his work. Aside from the Civil War, which of course is central to Lincoln's presidency, one of the most interesting aspects of Lincoln's life is the story of emancipation. There is certainly a good deal of argument about whether Lincoln was truly a crusader for the end of slavery, or a noncommittal opportunist; all interpretations are considered and explained by Smith with a concise and analytical tone. It is clear that while Lincoln was not keen on slavery, he was a racist; believing that there should be full segregation between the black and white population. He was a man of his time but he fervently believed that the arguments for slavery were nonsensical. His role in emancipation is important, but should not be overestimated. Smith deals with these contradictions smoothly and allows the reader to draw their own conclusions. As a reader whose understanding of American history is broad and somewhat bewildered, this little book was an excellent introduction into this period in history. I am keen to read more about Lincoln, slavery and the American Civil War, and this is largely thanks to Smith's accessible narrative. Highly recommended. 128pp. The History Press. £6.99.